2004 Is There Revival in Bulgaria? Bulgaria could soon strongly restrict the freedoms of all minority faith groups representing less than 1% of the population. If the bill changing the “Religious Denominations Act” of 2002 is passed, evangelical Christians and other groups would not be allowed to have foreign ministers leading their religious services. In addition, “the state is implementing restrictions over international donations and is placing itself in a position to control any training of ecclesiastic leadership.” The new law “is supposedly aiming to limit and filter attempts for radical influence”, but it would end up reinforcing the power of the two majority religions: Eastern Orthodox Christianity and Islam. “Should an Evangelical denomination want to train its clergy, the only academic education allowed would be either in a national Eastern Orthodox academy, or in a Muslim school.” Several Christian faith minorities have already issued statements demanding political parties to open an honest dialogue with the confessions. What are the changes that are being introduced in the “Religious Denominations Act”? In the first days of May, 2018, two new bills were submitted in Parliament regarding Bulgaria’s Religious Law. The first one was put forward by the three largest political parties (one in power; and two in opposition); while the second bill was coined by the United Patriots (an alliance of nationalistic groups participating in the country’s government). The most disconcerting one is the first bill. It was drafted by the pro-European governing party GERB and their parliamentary rivals of the Socialist Party and the pro-Muslim Movement for Rights and Freedoms. This bill claims its goal to “prevent interference of foreign countries, institutions and persons into [national] religious affairs”. The document proposed several changes to the existing 2002 Act: only religious communities having at least 1% of the population would have a right to state subsidy; all clerics would be required to be Bulgarian citizens, having graduated theology in this country; any financing of religious institutions from abroad would wither be banned or filtered by the state Committee of Religious Denominations. In this way, the state is implementing restrictions over international donations and is placing itself in a position to control any training of ecclesiastic leadership. By limiting state subsidies and religious education only to religious groups over one percent, the new law is imposing an unjustifiable governmental favoritism. The only entities thus qualifying would be the Easter Orthodox Church and the Muslim religion. Atanas Slavov, Professor of Law at the University of Sofia, went on record to say about this one-percent limitation that “placing all confessions under the same common denominator is an act of discrimination”. Groups that are discriminated against with this bill, include all Protestant denominations, the Catholic church, the Armenian church, and the Jewish minority, among others. Catholic bishop Hristo Proykov commented for Patheos website: “The legislative proposal is a sad reminder of a bygone Communist past, which we believed would no longer return”. 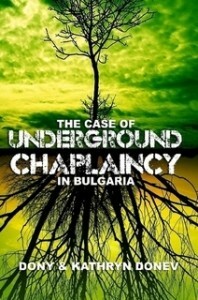 Is there a fear in Bulgaria about foreign organisations influencing religious groups in Bulgaria and gaining influence? With the current refugee situation in Europe, and with our country responsible for the Union’s outside borders, there have been all sorts of disturbing rumors and instilled fears about our way of life and our children’s future. Broadcasting agencies and the social media regularly feed us with information about terrorist threats, religious overtaking and ethnic reshaping of the continent’s culture and values. In addition, Bulgaria is probably the state with the highest number of Muslims per capita in the European Union. According to estimates from 2017, Muslims are about 15 percent of the country’s population. However, for many decades the relations between Muslims and Christians in Bulgaria have been peaceful and mutually respectful. On a local level, people have lived together, celebrating each other’s cultural and ethnic traditions. The government’s concern in suggesting those restrictive measures, apparently, is that there have been endeavors on behalf of Islamic fundamental groups to infiltrate some Muslim communities in Bulgaria. Based on such anxieties, the new law is supposedly aiming to limit and filter attempts for radical influence. How would these legal changes affect evangelical churches in Bulgaria in practice? According to the 2011 national census, all Evangelical Christians in Bulgaria comprise of 43,000 or less than 1% of the population . This means that with the implementation of the new law, Protestants will be deprived on several levels. 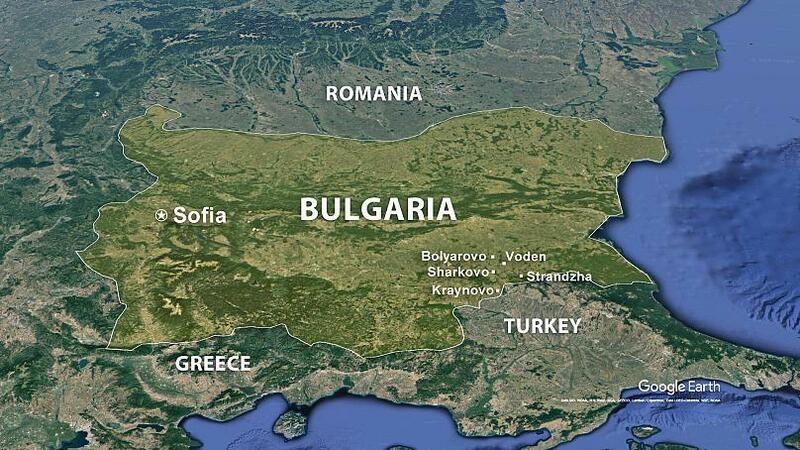 In fact, it is our belief that Protestants are actually more than one percent of Bulgaria’s population. But this is a whole different conversation. Only groups over 1% will be eligible to receive state subsidy for restoration of church buildings. In this aspect, all Protestant churches are immediately scratched off. Only citizens of Bulgaria will be allowed to perform religious duties. The only way a foreigner (a missionary, a preacher, a teacher, an evangelist, etc.) could conduct a worship service or preach a sermon would be if he is doing this jointly with a Bulgarian minister. Are evangelical churches talking to the Bulgarian government or political parties about possible amendments or lines of dialogue to soften the consequences of such a law? Part of our objection was that absolutely no attempts were made on behalf of the politicians to consult any religious group in regard to this new bill. The same sentiment has been shared by the Armenian community, the Jewish minority, the Apostolic Nunciature of the Catholic Church. The speaker of the Orthodox Holy Synod father Nikolay Georgiev announced that the Bulgarian Orthodox Church does not agree any minority should be deprived of their rights, and that the BOC is ready to defend other denominations’ just religious cause. Soon after the proposed bill was pushed, a number of Christian churches in the country issued declarations of protest. Denominational positions were officially published by the United Methodist Church, the Bulgarian Baptist Union, the Bulgarian Evangelical Alliance, the Central Israelite Religious Council, the Catholic Church in Bulgaria, the National Alliance “United Churches of God”, the National Council of Religious Communities in Bulgaria, as well as various civil rights organizations. Two alternative legislative proposals put forward by Bulgaria’s main parliamentary fractions would give the state more oversight over the activities of the country’s faith groups. Bulgaria’s parliament is seeking to change the Law on Religious Confessions, to limit external financing and crack down on religious “radicalism”. Two separate pieces of legislation – one backed by party leaders of the ruling GERB party, the opposition Socialist Party and the Movement for Rights and Freedoms, MRF – and another introduced by GERB’s minor coalition partner, VMRO, were both deposited in the assembly on Monday. This sum would be divided among the faiths whose followers number at least 1 per cent of the population, according to the latest census data. In practice, this would mean that only the Bulgarian Orthodox Church and the Muslim community would be eligible for the cash. The alternative proposal, introduced by Defence Minister Krasimir Karakachanov’s VMRO party, follows similar lines. However, it focuses also on the fight against “radicalization” and seeks the introduction of more oversight of religious activities and financing by the state. Both proposals would only allow foreign preachers to deliver sermons in the presence of locally accredited clerics. The two proposals are a response to a cross-party agreement reached after an April National Security Consultation Council, organized by President Rument Radev. However, the plans are already dividing the ruling GERB-United Patriots coalition, with the latter claiming they were not consulted by Prime Minister Boyko Borissov’s party about the plans. On Sunday, Iskren Vesselinov of VMRO, one of the three parties in the United Patriots, told Bulgarian National Radio that there had been “a problem with communication” within the coalition about the legislative proposal. “We had to introduce it to parliament before we received statements from the major religious communities because the other piece of legislation was already deposited, which would have slowed down the entire reform process,” Vesselinov added. The lack of consultation with religious communities may also turn out to be an issue, experts warned. “There is a problem with the philosophy of the reform proposals; until now, the Religious Confessions law sought to guarantee the rights of the faith communities. Now it will seek to introduce oversight and control,” Mihail Ivanov, an ethnic minorities expert from New Bulgarian University who took part in the preparation of the 2002 law, told BIRN. He noted other problems, too – that both plans introduce a discriminatory element that divides the two big religions from the many smaller faith communities and limit the ability of foreign preachers to practice in Bulgaria. “The changes don’t take into account important religious differences – for example, the Catholic Church is a unitary body and its Bulgarian priests receive their funding from the Vatican. This would now be rendered illegal,” Ivanov observed. According to him, the same applies for visiting clergymen who might not now be allowed to preach in places where there is no local pastor of their faith. Another issue Ivanov pointed out is that both proposals would increase the regulatory role of the Religious Confessions Directorate under the Council of Ministers. This would, in practice, place control over donations, religious institution accreditation and educational program matters in the hands of the executive power. However, Ivanov said the positive sides of the changes include the two major Bulgarian religions receiving state financing guarantees. “It is good that the debate about religious regulations has been opened; now the political forces need only to leave the discussion to experts and members of the religious communities themselves,” he concluded. Bulgarian Chaplaincy Association celebrated 20 years of Military Ministry in Bulgaria since the first event co-hosted by the Bulgarian Armed Forces and government officials in 1997.